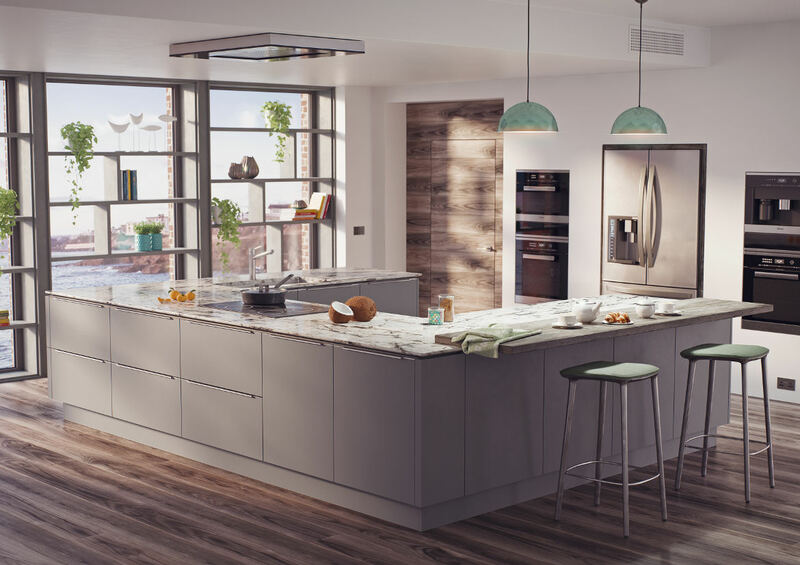 The Cosmo style combines the streamlined, linear look, synonymous with the handless kitchen design, with a minimal top fixed handle. The discreet Cosmo handle adds a subtle design detail without compromising the flat, smooth handless aesthetic. Ultra modern design utilising the island layout to house all the units while the appliances -dual oven and American style fridge, are all built into the main back wall. The slick handles empathise the simplicity of the layout. 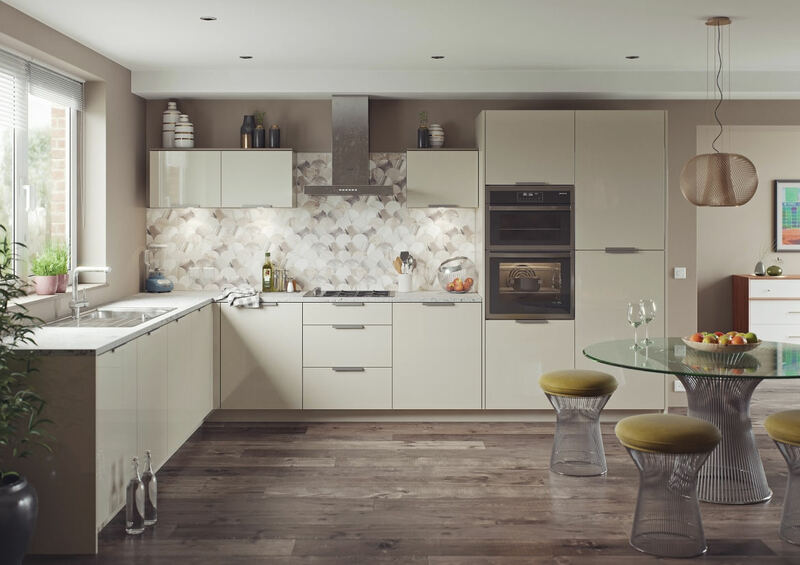 White kitchens are soaring in popularity - standing the test of time and trends, allowing the flexibility to introduce other colours and materials to the space in worktops, furniture or accessories. This economical White Glossmax finish with top handle style makes aspirational European kitchen styles affordable and attainable.